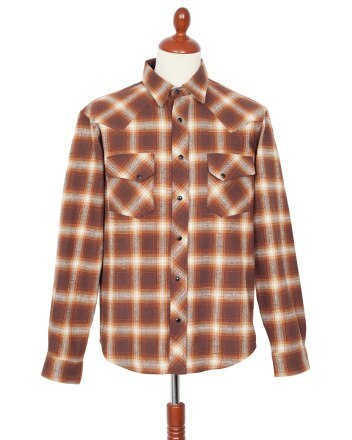 A snap button heavy flannel shirt with corduroy lining in neck and cuffs. A fabric that gives a richer texture and shadow plaid effect. – Fabric Made in japan. – Narrow loom, red selvedge fabric. – Always Indigo or sulfur dyed, so it will fade with age.